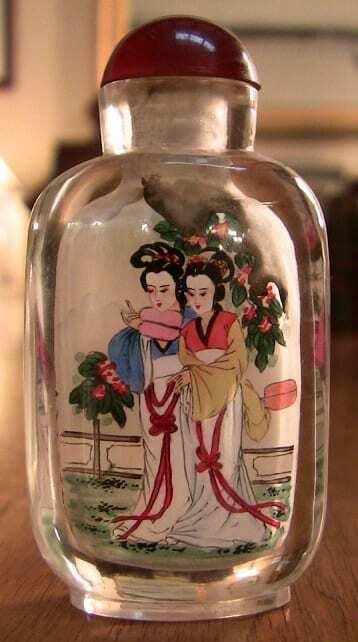 Chinese Inside Painted Glass Snuff Bottle. 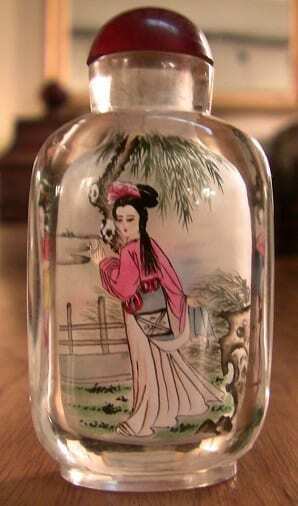 LOVELY little Chinese inside painted glass snuff bottle. One side has a painting of a Lady in national dress in the garden. 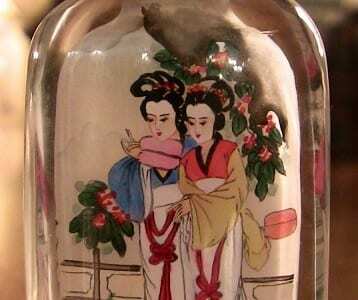 The other side features 2 Ladies in national dress in the garden. Provenance: Bought at Auction in Ireland.